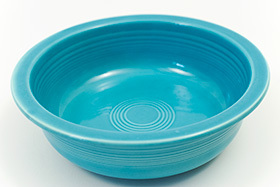 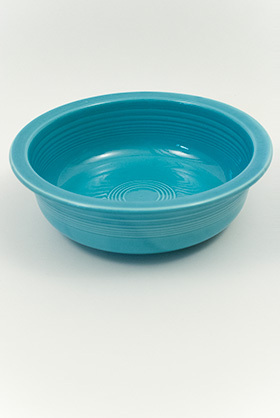 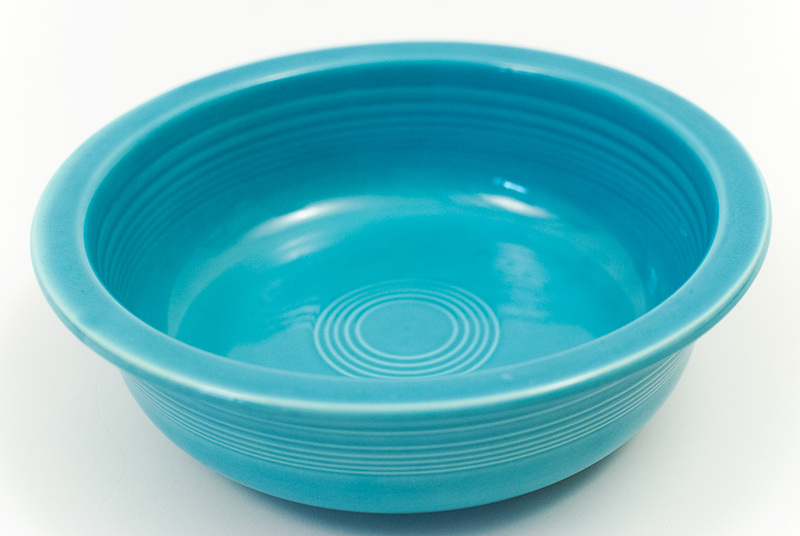 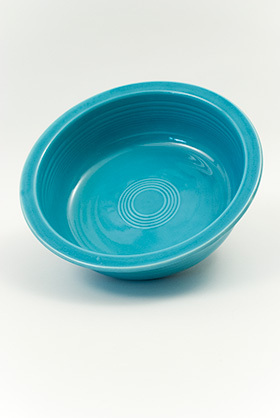 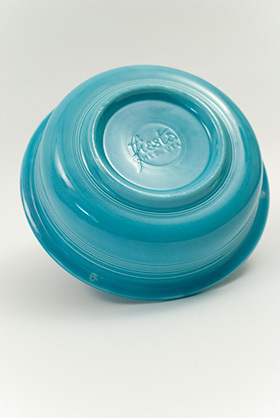 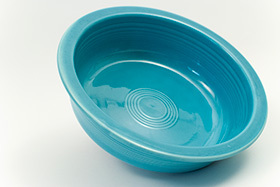 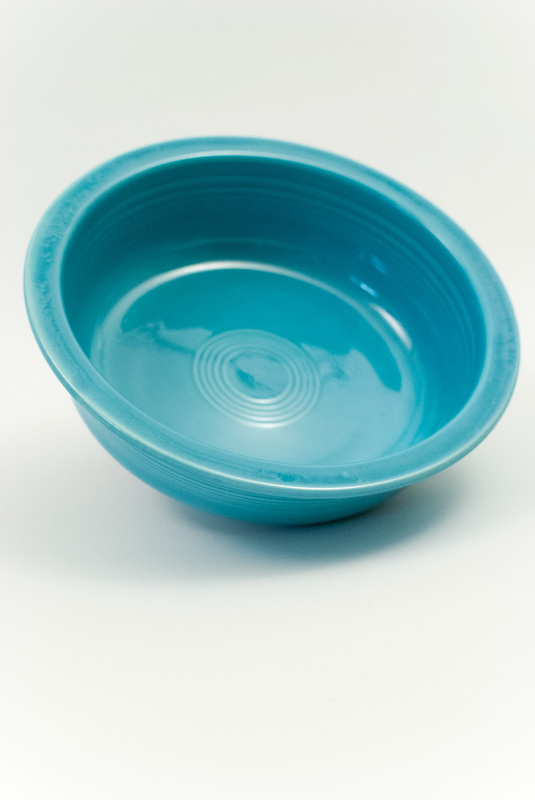 CIrca 1937-1946: Discontinued in 1946, the 9 1/2" Fiesta nappy bowl is 33% larger than it's smaller 8 1/2" counterpart. 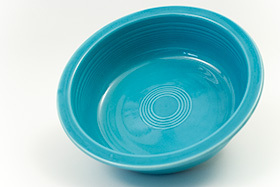 Available in only the original six colors and always found with a fully glazed foot, the nappy was molded, hand tooled on the jiggering machine to etch in the abundance of concentric rings, fired once, dipped in glaze, placed on stilts (thus the three spots under the lip) in the kiln and fired again. 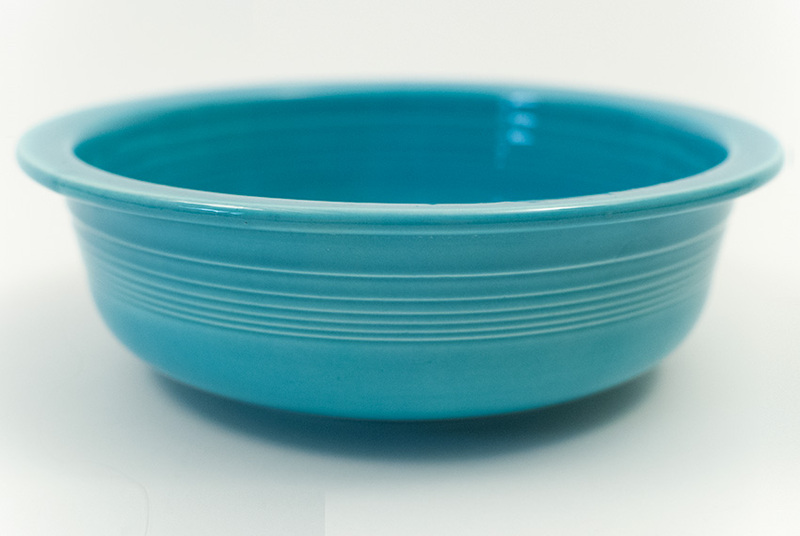 This example is in excellent condition without damage and is guaranteed to please.